Part of the appeal of a text editor is its leanness and simplicity. 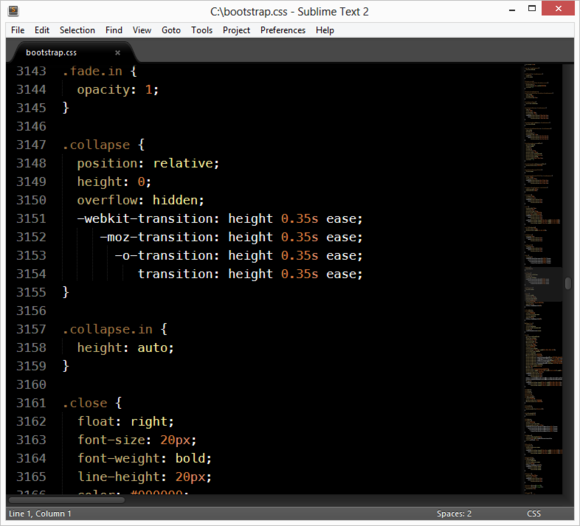 Sublime Text certainly feels lean on the surface, with no toolbars or configuration dialogs. It's also very, very fast. But that simplicity is only skin-deep: dig in just a bit, and you'll find yourself immersed in plug-ins, clever auto-completion tricks, and more. What's so nice about Sublime Text is that it lets you slowly grow into using its power. Unlike Vim, for example, it doesn't feel inscrutable to the uninitiated. You can run it and just start typing, Notepad-style. But ask for more, and Sublime Text shall deliver. 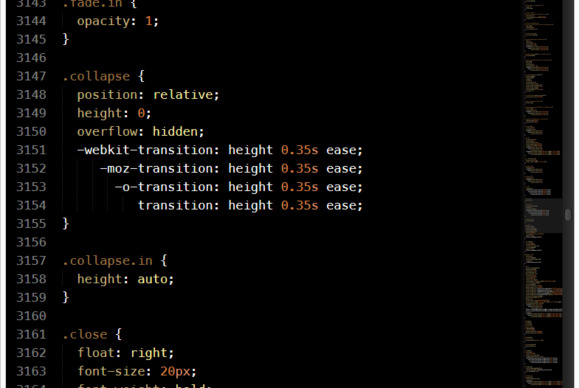 Sublime Text's sophisticated fuzzy text matching lets you quickly get to the files you need. Another benefit of using Sublime Text is that it looks the same across Linux, Windows, and Mac OS X. This is because it uses its own custom cross-platform UI framework, which also lends it some unique controls you won't find in other editors. The most noticeable one, and the only one you'll see at first glance, is the minimap - a miniaturized bird's eye view of your code, which runs along the right-side gutter of the editing pane. When working on long files, you can use the minimap as a visual scrollbar and instantly scrub around the file for points of interest. Sublime Text uses a text file for configuration, which is an acquired taste.. The minimap is unique for another reason: Its use of the mouse. The rest of Sublime Text is keyboard-centric, and much of its appeal lies in a real-time search algorithm that's remarkably clever. You can use it to quickly open any file in your project: type "idsp", and the list of possible files narrows down to include selections such as "ideas_spec" and "server.pid," with the relevant letters shown in bold type. Using a loose mix of initials and prefixes, you learn to land on almost anything in your code as soon as it comes to mind. If you want to go to a specific line number, you can follow your string with a colon and the number – so, "idsp:100" will take you to line 100 of the relevant file. Sublime Text's minimap stretches along the right gutter of the document, letting you quickly scrub over long files. Another useful feature is effortless column selection: If you want to add the same bit of text along multiple lines (for example, several closing parentheses marks in following lines), you can simply select a column of text and type your text. Multiple insertions points will appear, and you will see your text entered into several spots all at once. Sublime Text 2 also has a system of plugins, the most important of which is called Package Control. This plugin lets you easily search for other plugins from within Sublime Text, and download and install them right from the editor. When I needed to add a word count to the status bar, it took me less than a minute to use Package Control and find a plugin that did exactly what I needed. Its search interface uses the same fuzzy string matching common throughout Sublime Text, and is just as quick to use. 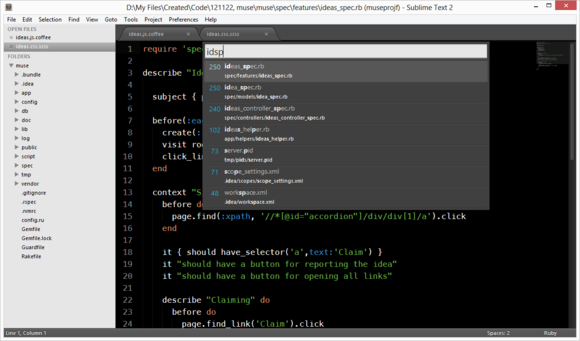 If you can afford it, Sublime Text 2 is well a text editor worth the money.